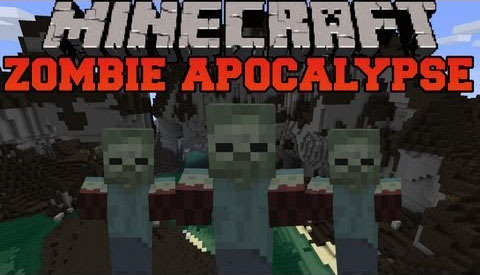 The Zombie Apocalypse Mod adds tons of new items, blocks, mobs, and structures to the world of Minecraft. 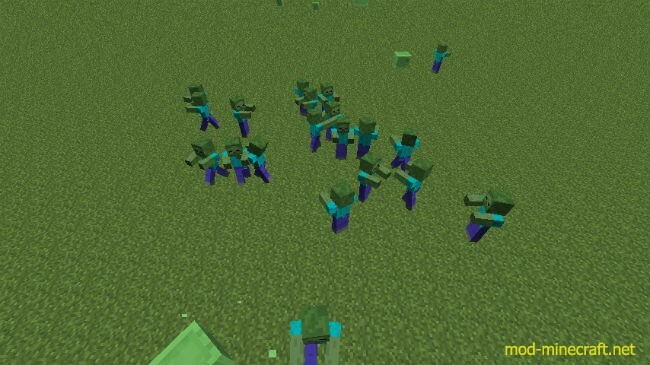 This mod also adds all-new survival tools and zombie behaviours to Minecraft to better emulate a zombie apocalypse game. Swiss Army Knife: four tools in one. You can right click to switch between a pickaxe, axe, and shovel. This tool automatically switches to knife mode when you hit an entity. Backpacks: You can right click with a backpack to store the first five items in your hotbar into it, then right click again to take them out. Backpacks can be worn as a chestplate. It is great for compact storage in your inventory. Tents: An instant shelter. 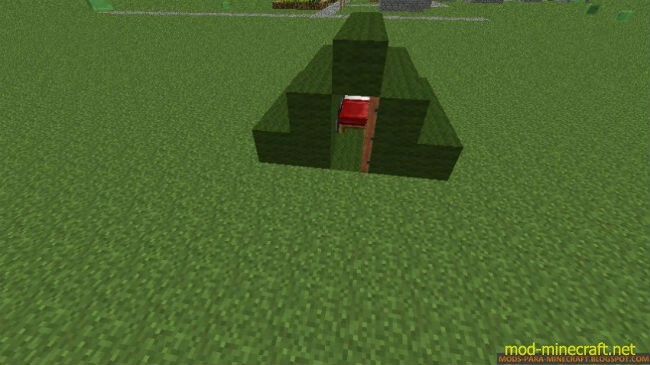 You can right click to create an instant tent, complete with a crafting table, furnace, and inventory. These items show up in bonus chests, and they make great first-night shelters. The biggest enemy of any NPC village is zombies. Chances are high that the villages you find will be quickly decimated without your constant care. Well, those stupid villagers aren?t the only ones trying to survive zombie sieges anymore. This mod adds Reinforced Villages and Military Bases. 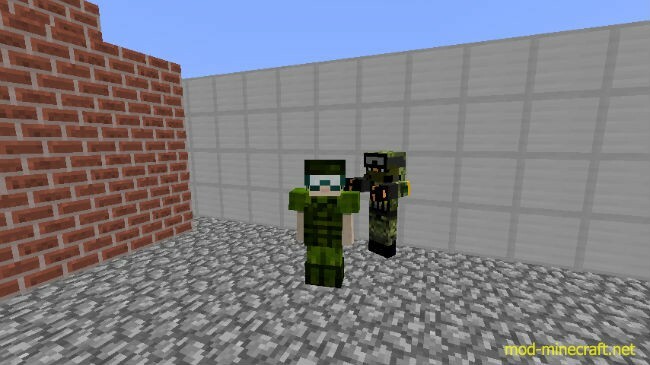 Reinforced villages are much like ordinary villages, except they contain citizens instead of villagers, have a giant wall to keep zombies out, and are defended by mob-slaying, gun-wielding soldiers. 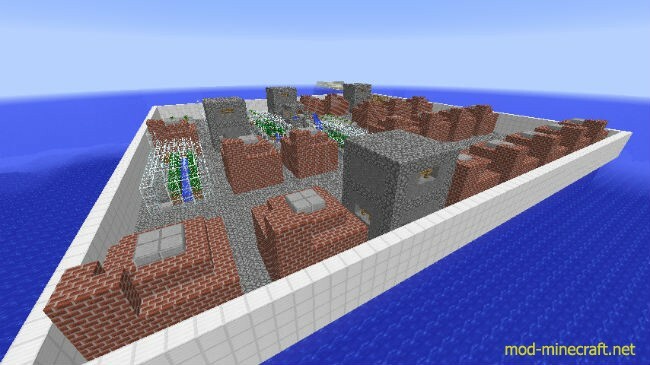 Reinforced villages also grow the rare tomato crop, which can be made into pizza when combined with bread and cheese. 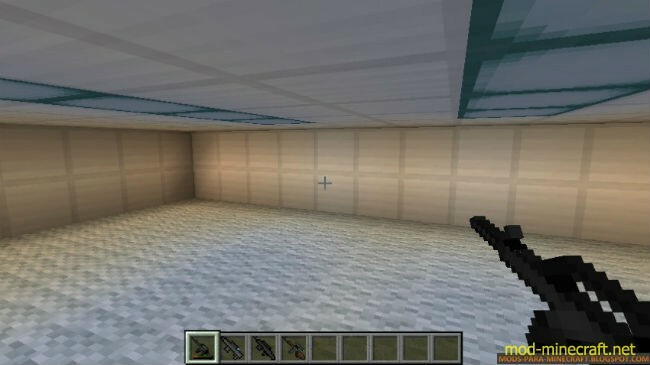 Military Bases are small generated structures that are reinforced with chain fences, and contain soldiers and chests full of OP military weapons such as the deadly three-round-burst m4 carbine. There are also now ferrets, which can be tamed with rabbit meat because ferrets are awesome. A significant addition to this mod is bronze tools and armour. Bronze ore is very common and can be mined with a stone pickaxe. It can be made into all of the common tools and armour. Its effectiveness is between stone and iron. Additionally, you can craft bronze into battle axes and battle hammers. The battle hammer deals more damage than a bronze sword, and more knockback than any other weapon. However, it slows its user down massively. The battle axe deals the same amount of damage as a sword, and is effective against trees. Once you obtain diamond, you can craft an amulet that allows you to harness the magical powers of bronze. You can right click with a tool to use its power. Powers include ground pounding, mega-jumping and repulsion. 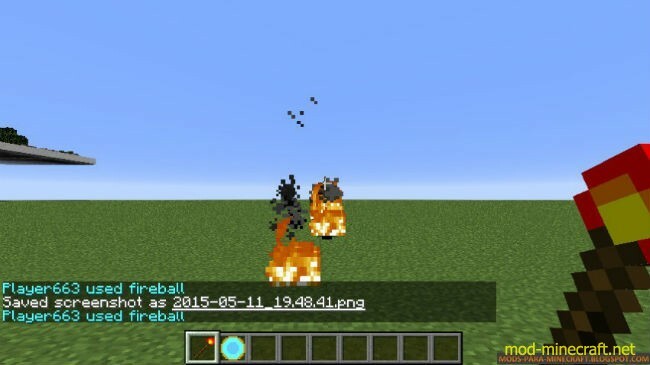 Additionally, this mod adds magical staffs, which have awesome magical powers such as flight or fireballing. Staffs are extremely hard to find or craft. All of these magical powers are great for PvP combat, and can make it more than just a click race. This is personally my favourite part of The Zombie Apocalypse Mod. This mod adds tons of awesome guns to the game. Each weapon has different strengths and weaknesses. Some shoot quickly; some are accurate; some have long ranges; some are lighter or heavier, and some fire a burst of multiple bullets at once. 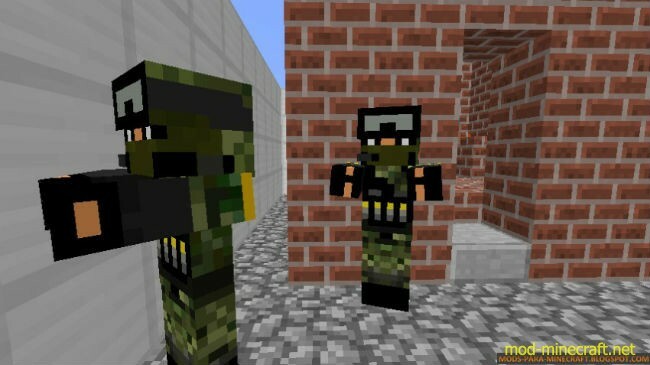 Guns added include common US military weapons such as the M16, fan favourites such as the AK47, and consumer-available weapons like the Remington 700. I have also added some guns of my own design, some of which are unlike any other real-world gun (such as an assault rifle that turns into a sniper when you turn on the scope). The consumer-available type weapons can be crafted, while a few of the US military weapons can be obtained by using a craftable blueprint that consumes large amounts of resources. Most guns are unobtainable in survival due to their OP nature, and are reserved more for custom maps and PvP. Various grenades are also added, namely the frag, incendiary, smoke and flashbang grenades. Frag grenades deal damage. Incendiary set targets on fire. Smoke lay down a cloud of concealing particles, and flashbangs blind targets. Normal armour does not reduce bullet damage, but Kevlar and military armour does. 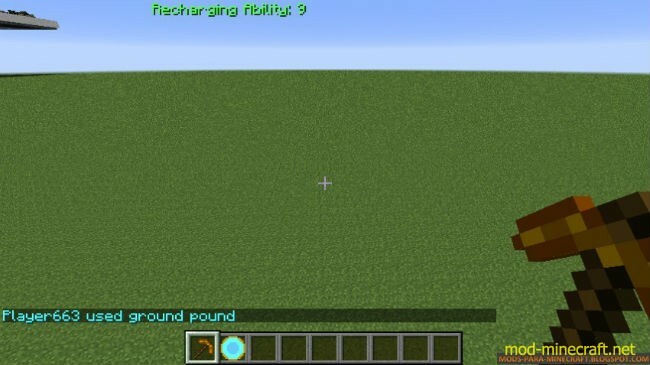 This mod also adds bombs. 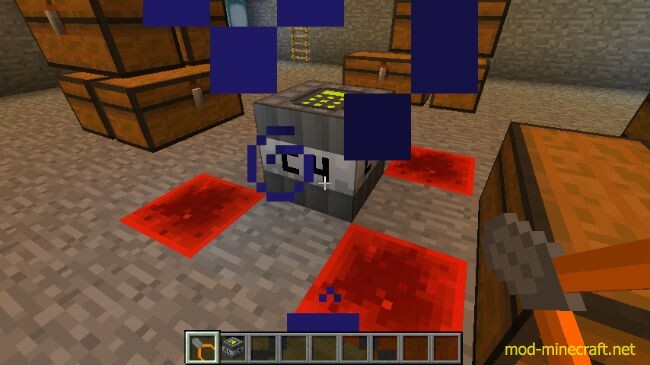 Bombs can only be placed on redstone, and detonate after 30 seconds. They can, however, be defused by a player with a defusal kit. It is great for creating CS style PvP games!